FC Barcelona coach Ernesto Valverde summed up nicely the challenge lying ahead of his team in what remains of the league season. 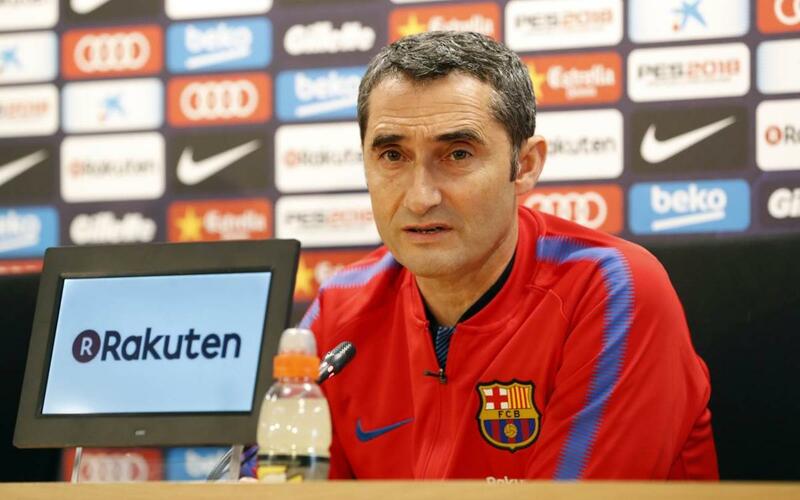 “We need five wins to be champions, tomorrow we have to pick up three points,” said the boss in front of the gathered press at the Ciutat Esportiva ahead of Saturday’s La Liga clash with Leganés at Camp Nou. The club from the outskirts of Madrid are having a good season as they sit in 13th place in the table on 36 points, 15 above the relegation zone. “I expect a game similar to last season. They will try to surprise us on the counter attack,” added the Barça boss when asked about Saturday’s opponents. The blaugranes could equal Real Sociedad’s La Liga record of 38 games unbeaten should they avoid defeat at Camp Nou against Leganés. “We don’t have these figures in our head even though it is an important achievement,” confessed Valverde.